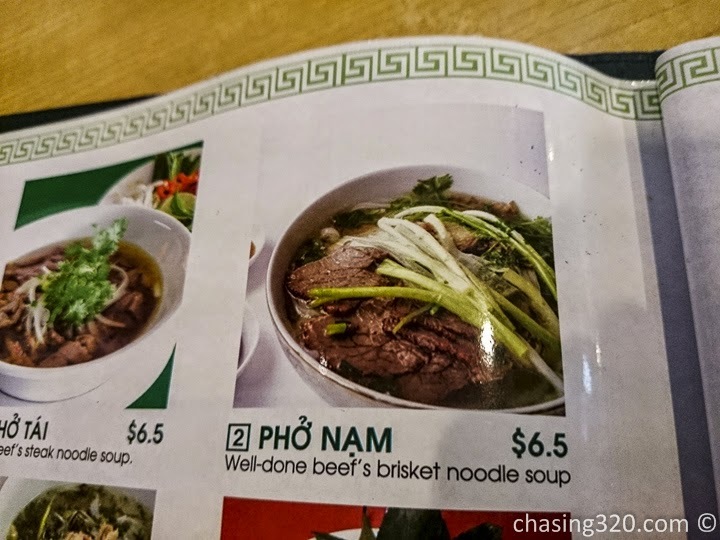 This is my favorite Vietnamese Place to eat beef brisket noodles. Dad followed me on the bus back to Singapore from Kuala Lumpur and I decided to bring him here for some Vietnamese food. Come at off-peak times and if you come during lunch or dinner hours, you will need to prepare to line up and wait. 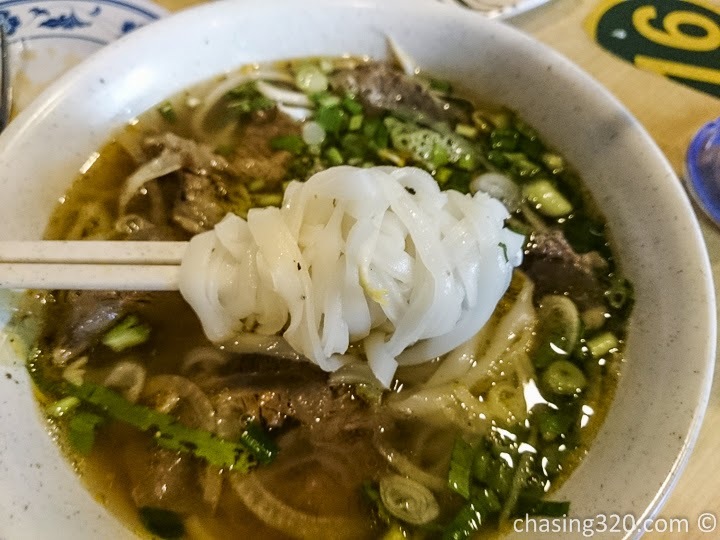 The rice noodles is thin and tangy. 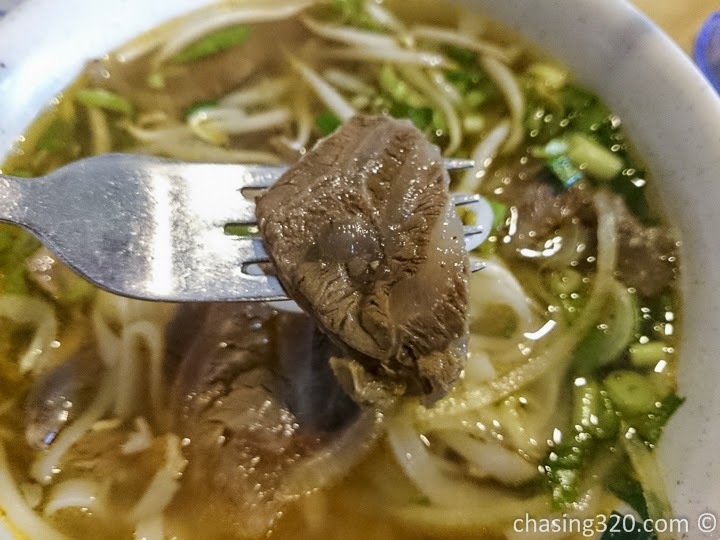 Slices of beef adds flavor to the broth. These are a nice appetizer. 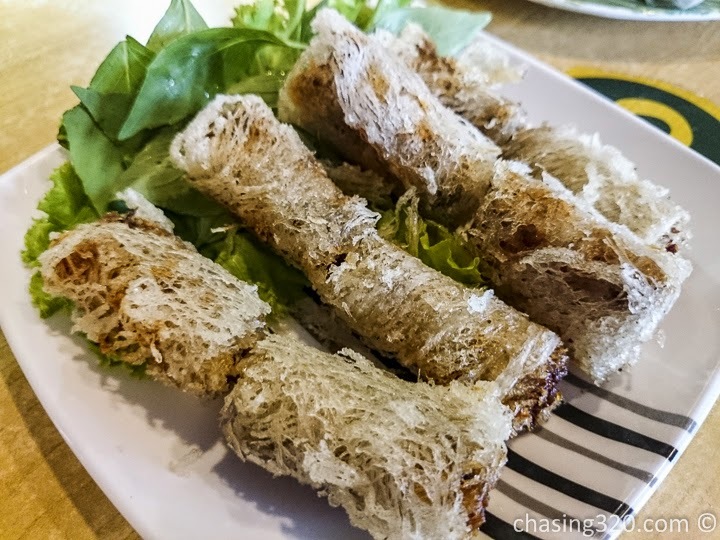 Made from authentic Vietnamese spring rolls, the plasticky texture is very native to spring rolls Vietnam style. Dip the spring roll in this sweet peanut sauce. 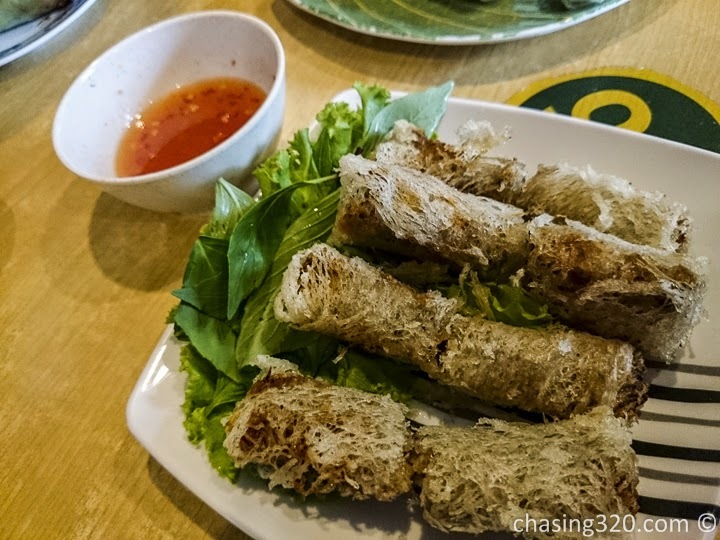 We also ordered Fried spring roll. It was a heaty treat. 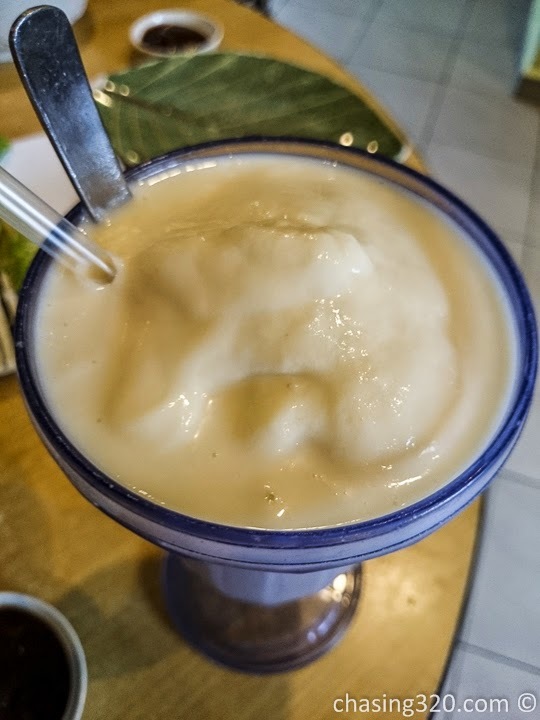 Durian lovers will love the durian shake which is rich and unadulterated. You can really slurp down the durian and though refreshing, will cause you to feel durian heat after taking this. 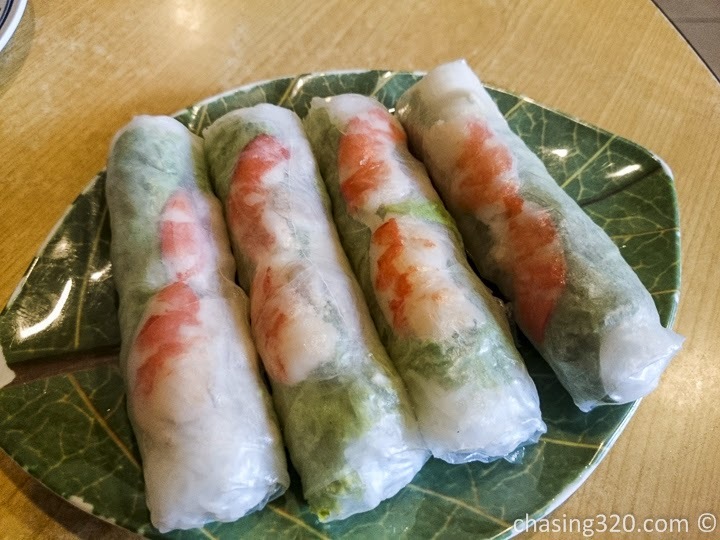 Probably the best Vietnamese restaurant on Joo Chiat road, I accept no other and if this place is not open, I go home never to bother other the other Vietnamese restaurants on Joo Chiat. I highly recommend this place and you should come over here and give it a try. 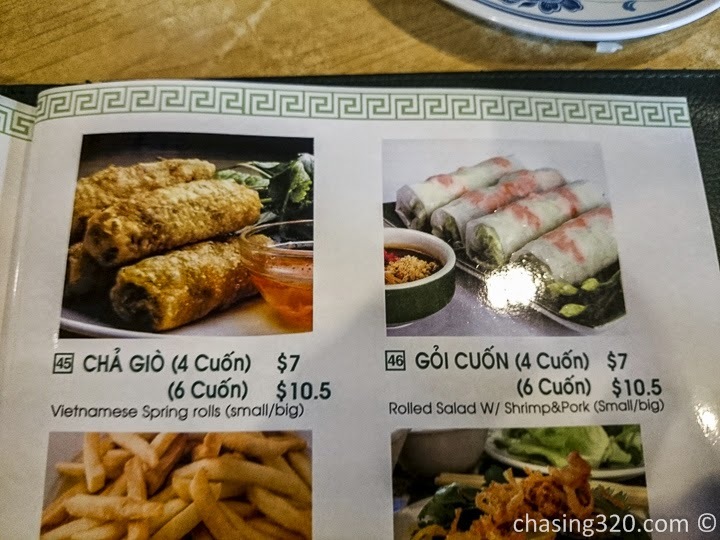 I have not had the chance to try other dishes…yet. 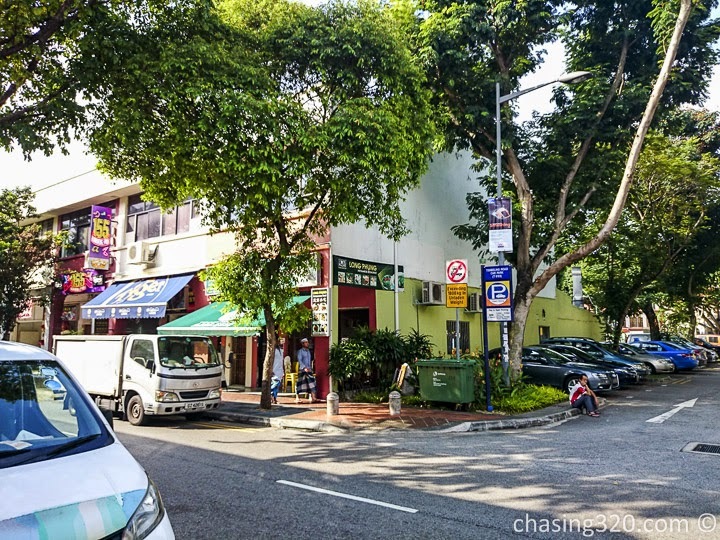 This shop is located on the one way street side of Joo Chiat. You will have easier access coming from Geylang Road turning left at Joo Chiat Complex. If you are coming from I12 Katong at Marine Parade, you will not have a direct route and will need to loop around.